This is a big year for Samsung as it prepares the Indian market for its big comeback on the crown to dominate the Indian Smartphone industry. With the increased competition amongst the Chinese companies in the market, who can magically just provide the best available Smartphone at a price which you can’t refuse, Samsung somewhere lost its hold over its sale. This happened mainly due to this price variation and online exclusivity. With the release of Samsung Galaxy A5 2017, and some upcoming projects Samsung definitely is all set to take the spot light back from the other Chinese companies. Samsung Galaxy A5 2017 marked the release date of the product in January. It is priced at Rs 28,990, which is a relatively expensive Smartphone, but manages to provide you all the latest features and technology available in the mobile industry currently. One might criticize the company for its high prize, as there are better options available in the market, which will cost almost Rs10, 000 less than this and will serve you the same features. However company seems to be giving competition to Apple 6s with this sleek Android device. It comes with a 5.2 inch super AMOLED multi touch screen with 16 M colors that contributes to its HD resolution of 1080 x 1920 pixels. Samsung Galaxy A5 2017 release is definitely one of the best Smartphone’s of 2017 so far. It comes with a corning gorilla glass 4 protections that ensure protection against all minor damages. The phone is sleek, stylish and comes with a protective screen. It is available in four color options black sky, gold sand, blue mist and peach could. With Samsung Galaxy A5 2017 release, Samsung has entered the year with the motto of delivering great performance induced devices to its users. Galaxy A5 runs on Android v6.0.1 Marshmallow which is backed by its chip-set of Exynos 7880 Octa core processor of 1.9 GHz. It comes with a 3 GB RAM and a 32 GB internal storage which is expandable up to 256 GB. The device is designed with a dedicated SD card slot. The phone is getting great reviews for its user interface and lag free experience. However, the price of the product definitely restricts the sales, considering it doesn’t even support Nougat v7.0 Android. Samsung Galaxy A5 2017 launch will definitely put a smile on the face of all the mobile photographers out there. It comes with a 16 MP rear camera, with 27mm clarity; auto focus and LED flash, and also consist of a 16 MP front camera which gives the best HD quality selfies that has a possibility to increase your social media following. Some of its other camera features include geo tagging, touch focus, face detection, panorama and HDR. Like in many of its other phones, this one two provides a camera you simply can’t complain about. Being a recent launch, Samsung Galaxy A5 2017 is making its name because of the great reviews it is receiving for its features. It comes with WLAN, Bluetooth, GPS, radio, NFC and USB, including some other connectivity features. It supports sensors like fingerprint, gyro, compass, barometer, proximity and accelerometer. Samsung Galaxy A5 comes with a 3000 mAh Li-Ion non removable battery that ensures a talk time of 16 hours and music play 53 hours, which is great considering its competitive products in the market. The phone battery also supports quick charging, which is like a bonus point for it. Samsung Galaxy A5 2017 release was definitely a success for the company, as the product seems to be getting great reviews by its consumers. However, its price seems to be restricting its sales as the phone falls in a high budget category, but fails to offer the most recent features be it Nougat v7.0 Android, or dual front camera, which is offered by other brands within the same price range, be it Oppo or Vivo Smartphone’s. 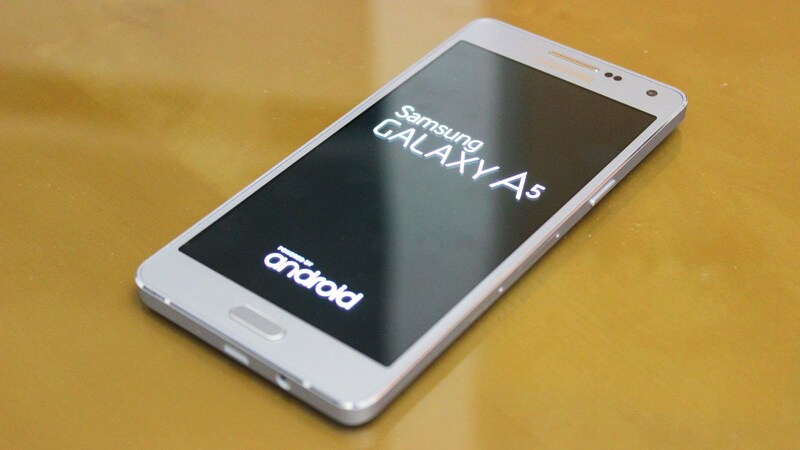 Samsung Galaxy A5 however offers a great camera and smooth operating interface without any lagging or interruption. It’s a great purchase if you have a decent budget, but considering the fact that many Nougat Smartphone’s will launch by next month, it might seem like an irrational, impulsive investment.